Home /Camera/Fujifilm FinePix X100 is Retro-delicious!!! Looks like Fujifilm is going all out to recreate an experience for old-school shooters. I like how the X100 recreates the retro look and feel faithfully – the aperture ring on the lens, the shutter and the EV dial, the self-timer knob, and the “FUJINON” and “MADE IN JAPAN” labels (and I wonder if the old shutter release really works on it!). Instead of an EVF, the X100 boasts a new development called Hybrid Viewfinder that overlaps shooting info on the optical viewfinder. The body is made with magnesium alloy and leather details. 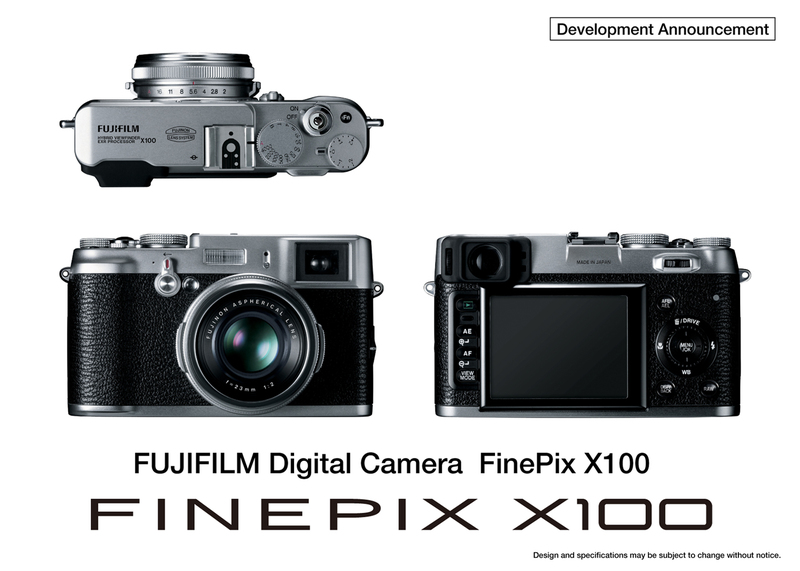 Fujifilm also downplays any branding on the front of the X100. The X100 comes fitted with the large APS-C CMOS sensor at 12.3 mp, with a fixed focal length non-interchangeable Fujinon 23mm f/2 lens equivalent to 35mm. Fujifilm claims that R&D effort is put in the ensure premium image quality and performance. For that, we can only ascertain once the test review units are available. I might consider getting it if the price is wildly attractive (but personally I don’t think that’s gonna happen). Otherwise, the X100 is primarily targeted at the professional photographers and image-conscious enthusiasts. Indeed the camera has vintage feel. Do you happen to know the price of this camera?